It is a standard canard to describe critics of Jewish power, privilege, and ethnocentrism (otherwise known as “racism”) as somehow psychopathological. One term that is often used is “obsessive.” Of course, Jews tend to be far more interested in themselves than their critics are, but this self-regard is never stigmatized as “obsessive.” But still, there is no point in denying that some anti-Semites are as obsessive, monomaniacal, and self-defeating as Captain Ahab. The best Judeocritics do, however, have a very healthy trait that can be described as obsessiveness, although I prefer to describe it as scrupulousness and fair-mindedness. Such writers do not want to be unfair, vulgar “anti-Semites” picking on a small, hapless minority out of (as the Jews tell us) envy or various psycho-sexual complexes. The critic then wishes to show, in good faith, with meticulous detail, and as definitively as possible, that his grievances are legitimate. The trouble is this very goyishe attitude itself only really works when one is discussing with people of good faith. “One false theory will falsify a hundred facts,” G. K. Chesterton is supposed to have said (I cannot confirm it). In any case, it takes infinitely less energy to tell an (unfalsifiable) lie than to prove a truth. That is the fundamental truth underlying the prosperous political economy of Talmudism and its secular offshoots, most notably liberal Zionism (in brief: “Ethno-state for me, multiculturalism for thee”). But the good goyim, in their irrepressible goyish-ness, are stubborn indeed. They insist on enmeshing themselves in the tangled web of lies, truths, and half-truths put before them. The struggle to tear these apart progressively drives the goy mad. Indeed, all his efforts can simply be countered by the simple assertion of another lie. An uncontrollable rage rises in his soul (what evolutionary psychologists call the “cheater-detection mechanism”). 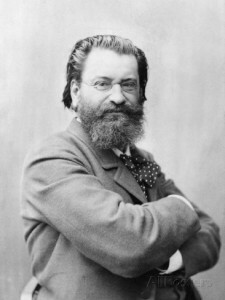 The two volumes of Édouard Drumont’s La France juive, a best-seller in its day and long the reference anti-Semitic work, runs to 1,200 pages. Unfortunately, I have not been able to read La France Juive to examine its merits as the Jews of the so-called “League Against Anti-Semitism and Racism” (LICRA) have succeeded in suing to ban the book, which had recently been republished by Alain Soral. This was an astonishing, absurd, and rare decision by a French court to censor . . . a century-old historical document. Were Drumont alive today, no doubt he would note that this remarkable decision precisely reflects the power of the ethnic networks he denounced and proves that the Jews fear his big book is of such quality that it would enlighten the goyim and make them restless. 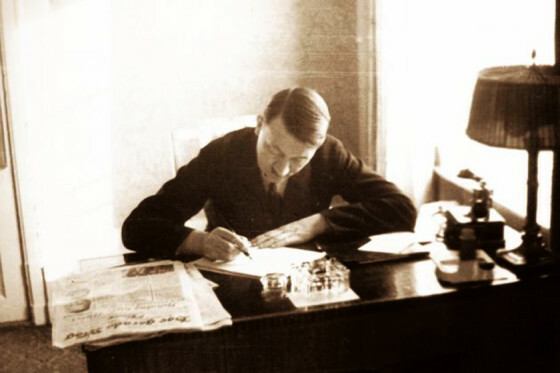 After Mein Kampf, Hitler for a time planned for a second book dedicated entirely to the history of the Jews. Even during the war, in October 1941 during a most critical phase of the invasion of Russia, the German Führer assured listeners that he had not ceased to document his grievances: “I have numerous accounts to settle, about which I cannot think today. But that doesn’t mean I forget them. I write them down. The time will come to bring out the big book!” We will never read Hitler’s memoirs. For how long must the good goyim struggle in this disagreeable business? Forever? At least until the entire rotten structure of lies and hypocrisy is brought tumbling down and the European peoples, and in particular European-Americans, are, again, free to determine their own destiny. 1. Adolf Hitler (trans. Ralph Manheim), Mein Kampf (London: Hutchison, 1969), 52. Hitler’s general account of his “greatest inner struggles” in awakening to anti-Semitism and his account of Jewish power are remarkable, and one can see why little attention has been given to them in popular culture and the media. 2. This mechanism, we are told, was evolved among hunter-gatherer tribes to facilitate survival. Given the peculiar conditions of the Ice Age, I suspect this mechanism has a peculiar form among northwest Europeans, making them rather trusting in general but perhaps uniquely ruthless when the mechanism is triggered. 4. Jonathan Toland, Adolf Hitler (Ware, England: Wordsworth, 1997), 703. Published: March 4, 2016 | This entry was posted in North American New Right and tagged Adolf Hitler, articles, Édouard Drumont, Guillaume Durocher, Kevin MacDonald, Martin Luther, North American New Right, originals, the Jewish question. Both comments and trackbacks are currently closed. Let me explain. As Mr Greg Johnson admitted all nations/ethnicities have qualities and shortcomings and glorious and shameful moments in history. All people will admit this obvious truth. If one wants to shame Americans one can easily find information in mainstream media/publications about the genocide of the Native people, about the brutalities suffered by the enslaved Africans, about the imprisonment of the American Japanese, about the bombing of Hiroshima and Nagasaki, about the My Lai massacre, etc., etc. If one wants to shame the British find info about the brutalities during the Boer war, the social decay of the lower classes from Dickens to 2011 England riots, the widespread alcoholism, the so called Broken Britain, etc. The Jews too?… Obviously, all! Yes, but where can I find negative information about the Jews? Infos about (in)famous Jewish villains, war criminals, cruel tyrants, sociopaths, crooks? And please, no disgusting anti-Semitic rags! LOL. First a “quote” floating in the air or rather the WWW ocean: “”Anti-Semitism” (always in quotation marks) is a natural reaction to Jewish chauvinism”. Antisemitismul nu e o reactie spontana a românilor, a germanilor, a polonilor, a francezilor, a americanilor, ci e provocat de evrei, prin exces. E provocat de ei ca spaima, crezînd ca-l previn. Antisemitismul functioneaza dupa principiul actiunii si reactiunii. Third, it is not true that “Aryan god” Hitler had a “Jewish obsession” he was also anti-French, anti-milk white-land rich-Slavs, anti-Anglo-Saxons (after 1939), etc, and generally anti anything that he perceived as inimical to the “interests” of Germany. There was method in his “madness”. IMO he was merely a German hawk. That is true of the other European “anti-Semites”. The French ones were also anti-German, anti-English, etc. The Russians were also anti-Western Europeans. The Hungarians were also anti-Romanians and vice versa, etc., etc. I forgot to add a quote of my own: “The “anti-Semites” are the conscience of chauvinist Jews (if they have any)”. Interestingly, Édouard Drumont was believed by many to be Jewish (including Werner Sombart, in ‘The Jews and Modern Capitalism’), although the Jewish Encyclopedia asserts that he is not. Similar nonsense has been said about Adolf Hitler. For that matter, some anti-Jewish writers have claimed that Werner Sombart was a Jew. It’s impossible to pin down where these claims have originated, but it’s reasonable to suspect that those who have concocted such claims are motivated by spite, rivalry, and dishonesty. Baseless and malicious accusations that this or that personality is an enemy agent (e.g., they’re a Jew, a Freemason, a CIA or KGB agent, or have been bought off) aren’t new. Yes, of course, but I recall reading that many of his contemporaries thought that about him as well. There isn’t much about him online. As for Sombart’s mention of him, it was not malicious, but he assumed the reader would think it was obvious. One might wonder why. Of course, such claims may be accepted and repeated in naive good faith. If you know little about a given subject, aren’t inclined to find out more about it, or aren’t in a position to find out more about it, it can be difficult or impossible to distinguish facts from factoids (in the sense of false claims of fact accepted as true because they’ve found their way into print or have been frequently repeated). The psychology and sociology of rumor-mongering sometimes explains more than the facts about a given subject. Sometimes there is smoke without fire. I believe there’s a English-language biography of Drumont titled The Pope of Anti-Semitism. I might look at it the next time I visit the academic library with a copy of it. 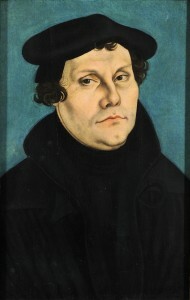 Thanks for the link to Martin Luther’s essay. I really like his plain speaking. I can hear the church ladies and school marms tut tuting now. Perhaps fainting. He really knew his Bible. After I realized they had sexualized and weaponized the blacks here in America (instead of the opposite, which any healthy society would do with them), the scales fell from my eyes. The relationship between Europeans and Jews seems to be more historical and complex. America is a much simpler society, everybody is out for themselves, and everybody else knows it. It works only as long as there is something to be gained. As American material prosperity recedes, the Jews will be left ruling over a degraded country filled with angry people of every race. It will be interesting. Though true, it is still worth doing, not for some some futile attempt to win the Jew over, but for the benefit of good faith non-Jewish observers. The crippling kind of Obsession, as a good psychiatrist will tell you, is driven by disgust. I think one can agree with this with necessarily agreeing with all the Freudian ‘mechanics’. Seems completely arbitrary to me. My point is not that the obsessive person is necessarily deluded, but that a certain healthy disgust for the foul and diseased has the potential to grow beyond any utility, e.g. a man who washes his hands 111 times each day. 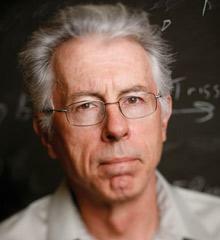 I am certainly not suggesting that this applies to productive men like Kevin MacDonald. The author points to a higher or virtuous kind of obsession. That there is a ‘garden variety’ obsessive who is preoccupied with guarding against the disease, pollution, corruption and foulness by which he feels besieged is not, I think, an arbitrary observation. Even if we avoid the Freudian trap of deriving ‘the higher’ in life from ‘the lower’, there are reasons to believe that Judeocriticism *will* attract an unusual number of these types, and this is worth the consideration of all Judeocritics. Even if they (those they do) can articulate arguments in sound syllogisms? The JQ is the most perplexing of questions. I have been debating and discussing it long enough (nine years) to have become intimately familiar with the basic contours of the issue. In my opinion, the most important task of judeo-critics–let us call them–is to establish that there _is_ such a question at all. While specifics are obviously necessary, focusing too intently on them –the holocaust is the classic case–is, alas, all but a guarantee that the target audience tunes out or reacts with close-minded-alarm. The reasons for this are manifold, but that the phenomenon exists is iron-clad fact. Merely establishing that Jews are a separate identity group with separate and typically conflicting interests may seem underwhelming to the average judeo-critic, but in truth it is well over half the battle. For once an individual realizes and internalizes this foundational fact he becomes motivated to seek out and fill in the details of his own accord. Since the details emphatically support the judeo-critical account, that individual will never view racial politics the same way again–whatever that may mean for said individual. If it is found to be of sufficient quality, could this be another translation project waiting to happen? I really should have mentioned Archive.org in my previous comment. The PDF files of books at Archive.org prepared by American universities are typically of better quality than those of Gallica.bnf.fr. La France juive probably isn’t worth translating, given its age, its length, and the number of other works in French that merit translation. Breathtakingly sad but true. ” The struggle to tear these apart progressively drive the goy mad. Indeed, all his efforts can simply be countered by the simple assertion of another lie. ” This is true when dealing with all psychopaths. “‘One false theory will falsify a hundred facts,’ G. K. Chesterton is supposed to have said (I cannot confirm it).” José Ortega y Gasset made a similar remark in The Revolt of the Masses, something to the effect that “one lie makes a hundred.” It may be one of those aphorisms that are attributed to various individuals but whose origin can never be pinned down precisely. I haven’t read Édouard Drumont’s La France juive myself, but sets of the two-volume work should be available for purchase via used book dealers (the website of Livre Rare Book is a good place to start searching), Ebay, and Priceminister. PDF files of Drumont’s works are available at Gallica.bnf.fr.